Given the speed of conversations in social media, it qualifies as the most exciting source of information for your customers, be it organizations, individuals or governments. Managing brand reputation is a real-time engagement. We help you track, measure and listen to your customers. Digital Antzz provide the Social Media Monitoring Services, which will help to monitor all the reports of Social Media Plateforms and will take an appropriate action to improvisation of Social Media Campaign. KDASS also monitors Social Media using various tools like Radian6. Social Media Monitoring helps us in getting closer to the consumer in their mind and social environment so as to identify drivers and influencers of change. Each and every enterprise be it a MSME or large sacle company, online presence in social media is very important aspect which everyone is looking at. It has got lot of advantages too. - You can alsways be in touch with your customers. Our Social media experts watch your brand on different channels. We study the interest of your fans/followers to keep them engaged with your brand. In a fast-paced world, you require to constantly know what your audience is saying. Ripple Links helps you find out which of the chatter is relevant and, if necessary, how to react to it. 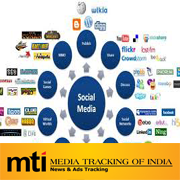 Social media monitoring is the active monitoring of social media channels for information about a company or organisation. ... Companies can then react to these conversations and interact with consumers through social media platforms. Collating press clippings and providing a Cost Benefit Evaluation (CBE) at the end of every month to provide a tangible PR value. This is very imperative from the point of view of establishing conclusions on how the. As users’ behaviors shift and social trends evolve, social monitoring allows brands to take a predictive approach to social media. GLG leverages social listening to discover actionable information about our clients, influencers, topic trends, and, most importantly, opportunities to help drive differentiation. Our monitoring tool scrapes through the internet and monitors the most relevant information and trending stories. Social Media Monitoring Made Smarter Your customers are online. Are you Bestppc’s social media monitoring services provide consumer insight, competitive intelligence, and enhanced marketing and brand management. - To be alerted immediately when people are saying bad / good things about your brand. - To quickly respond to all customer service queries, and to set up a way to collaborate and exchange information seamlessly with support team.